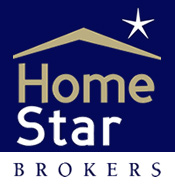 HomeStar Brokers - Is Flood Insurance In Your Future? Is Flood Insurance In Your Future? In response to recent natural disasters like Super Storm Sandy, the U.S. Congress passed the Biggert-Waters Flood Insurance Reform Act of 2012. This act calls upon the Federal Emergency Management Agency (FEMA), to make a number of changes to the way the National Flood Insurance Program (NFIP) is run. Key provisions of the legislation will require the NFIP to raise rates to reflect true flood risk, make the program more financially stable, and change how Flood Insurance Rate Map (FIRM) updates impact policyholders. The changes will mean premium rate increases for many policyholders . I asked my insurance agent for some examples of increases and he said one of his clients policies increased from $900 per year to $4500, and yet another from $300 to $1600 per year. If you think you may be anywhere near a flood plain he suggests that you call your insurance agent and ask for a flood plain determination. If it is determined that your property is in a flood plain then the next step is obtaining an elevation certificate. Elevation certificates are completed by a survey company and will cost approxiamately $400-$500. Homeowners and future homeowners should ask their insurance carrier what effect this new reform act will have on their premiums.